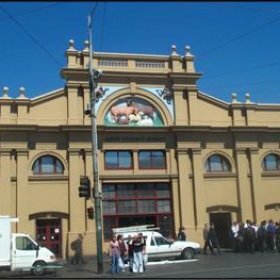 The Meat Hall at the Queen Victoria Market is a City icon and comprises 41 stalls which sells some of the best value for money fish and meat produce in Melbourne. The building is approximately 2100 square metres in area and an audit of the site carried out in 2002 indicated that the ground slab within the building was settling due to subsurface moisture and potential leaking hydraulic services. The audit also identified that the hydraulic services within the tenancies were interconnected which caused major blockages and backflow of the effluent. Based on the recommendations of the audit, the city of Melbourne decided to rectify the hydraulic services, the west wall of the building and the internal slab. This decision also provided an opportunity for the City of Melbourne to refurbish all the tenancies contained within the Meat Hall. Lambert & Rehbein were engaged for the provision of Structural and Hydraulic Engineering services. 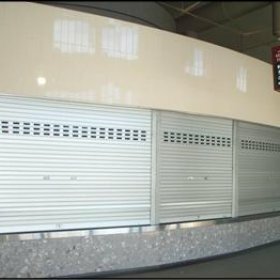 The design involved some challenging issues as the refurbishment had to be constructed in stages to allow for continuous market operations. The staged construction involved a design which retained the use of the existing hydraulic services whilst the progressive construction of the new services, paving slab and refurbishment of the individual tenancies was taking place. The design of the internal ground slab had to take into consideration the subsurface moisture, existing retained services, progressive construction and a requirement for very frequent wash down of the slab by the tenants. Construction stage services including periodic site visits to review construction at various stages for checking general compliance with the design intent.